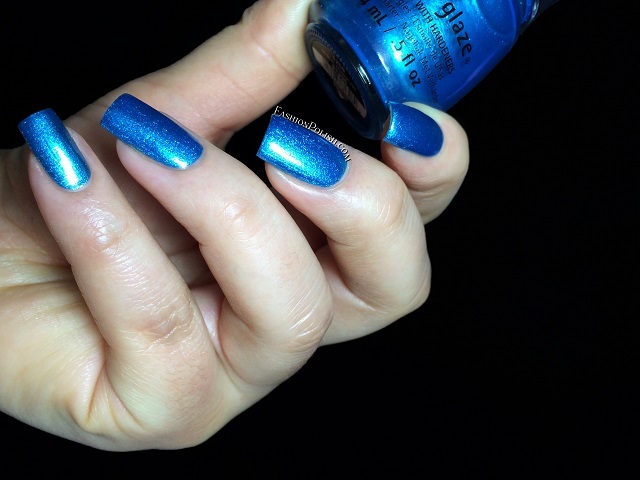 Fashion Polish: China Glaze Happy HoliGlaze collection review! China Glaze Happy HoliGlaze collection review! So how's your weekend so far? Have you been watching the Super Bowl? I'm not that much into Football myself *hides* but if you are I hope you've had a great time! Sooo today I have the China Glaze Happy HoliGlaze collection to share with you! I wish I'd been able to post this review earlier but I only got them very recently because of some postal "hiccups" and I figured you'd still want to see them, right? 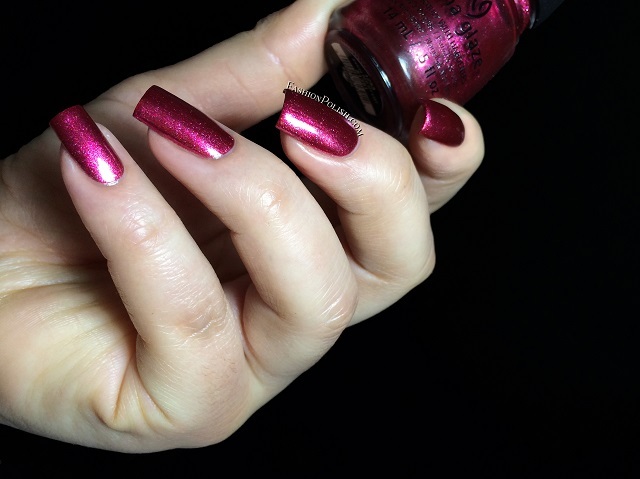 Santa Red My List is a magenta metallic shimmer with lots of sparkle. This is 2 thin coats, no topcoat. 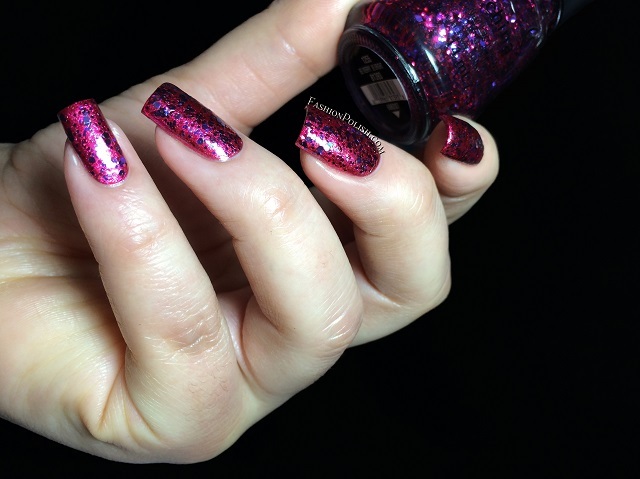 Be Merry, Be Bright is a mix of magenta and purple glitters in a clear base. Nice glitter pay off and easy to apply. I used 1 dabbed coat over Santa Red My List. Put A Bow On It is a very fine pink/purple glitter. I wasn't sure if it could reach full opacity on its own but it did with 3 thin coats, which is what I used here. 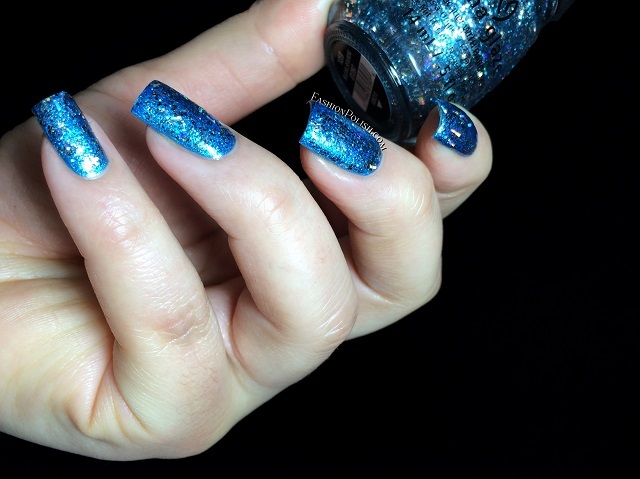 So Blue Without You is a bright blue metallic shimmer. Application was just as nice and easy as the previous shimmers. This is 2 coats and no topcoat. Bells Will Be Blinging is a fine blue glitter mixed with light gold hexes and bars with excellent glitter pay off. I used 1 coat over So Blue Without You. 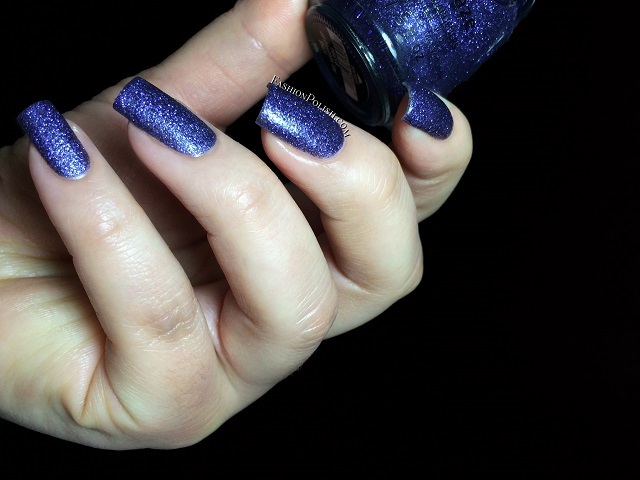 All Wrapped Up is a fine blurple glitter in a clear base. Same coverage and application as Put A Bow On It, I used 3 thin coats and no topcoat. Elfin’ Around is an orange/rusty red metallic shimmer. I wan't really sure about this one but I ended up loving it on my skin tone. 2 coats and no topcoat here. Mingle With Kringle is a gold metallic shimmer encrusted with some some really sparkly bits. I also used 2 coats and no topcoat in the picture below. 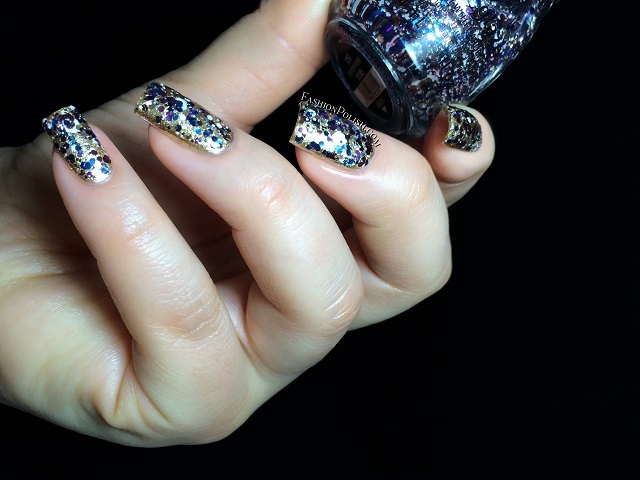 Your Present Required is a multicolored glitter mix in a clear base : white, gold, pink, copper, blue,... I used 1 good dabbed coat over Mingle With Kringle. 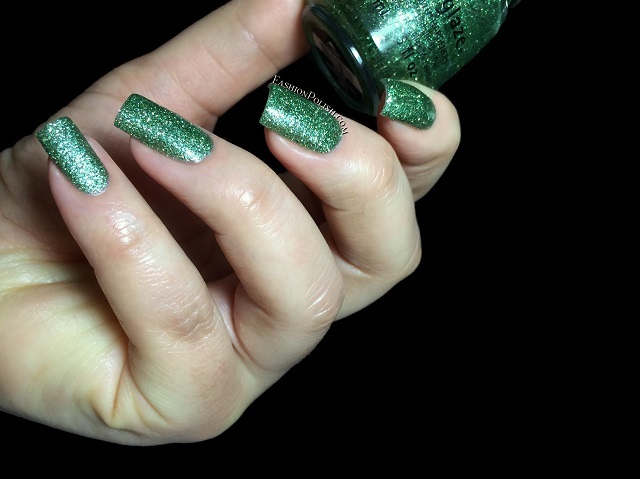 This is Tree-mendous is another fine glitter in a clear base, green and gold this time, and a 3 coater just like the previous ones. There’s Snow One Like You is a coarse white textured polish with larger white glitter pieces. I was certain application was going to be difficult from the previous reviews I've read and truth be told it is, but it wasn't that horrid. Application tips : use thin coats and don't hesitate to slightly "press it down" a couple of minutes after the second coat for a flatter look. This is 2 coats and no topcoat. 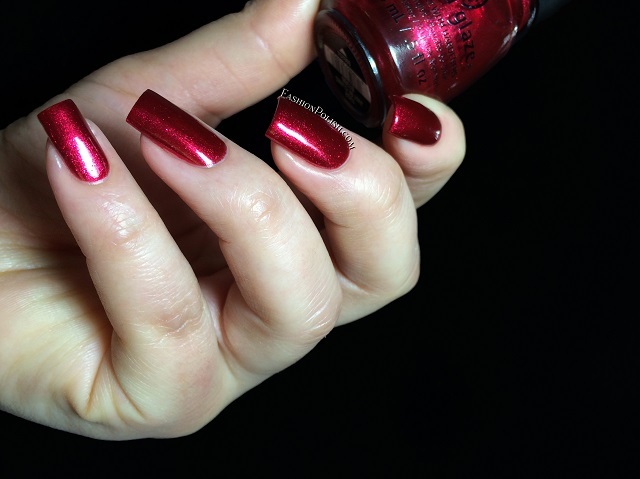 And finally Just Be-Claws is a super sparkly metallic shimmer red. It's my absolute favorite, it offers lots of control and is almost a one coater! I used 2 thin coats and no topcoat here for macro purposes. And one last pic Just Be-Claws with matte topcoat, or how I've been wearing it last week. Look at that depth! 1 coat, no cleanup! So what do you think? Have you grabbed any of these? Which one's your favorite?